Mix and match your favorite Cured Spices. Our spices should be used no differently than any other spice in your cabinet. Use at any time of the day on your favorite meal or in any drink. 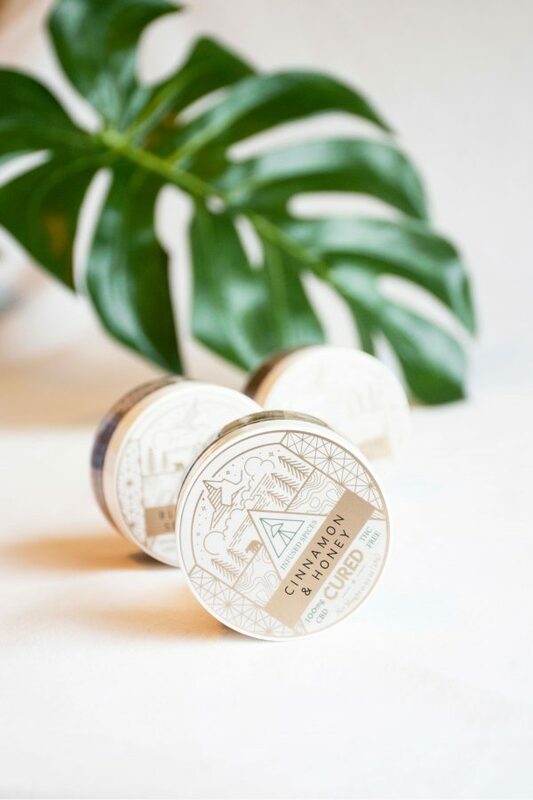 Microdosing our spices in combination with our other products should achieve sufficient daily cannabinoid levels which in turn can help regulate several bodily functions such as recovery, sleep, focus and more. Reference batch testing results here. First time trying these spices and they are great. I tried roasted garlic, cinnamon honey, and pb chocolate. They all taste amazing and I have definitely seen an improvement with my anxiety. The flavors are awesome, cinnamon honey is incredible! Just purchased these spices for a second time cause i love them so much!! Love all of these seasonings especially the peanut butter flavor! I sprinkle this product on my protein waffles every night!! I never want to be without of this!! I have been using these seasonings for almost a year now and do feel less anxious. Love love love these products! Cinnamon honey is my favorite ! I definitely want all of them. Looking forward to pumpkin spice! I’m training for a bikini competition and after a long lift these are amazing to rest. I use the Cinnamon Honey on EVERYTHING! My cereal, coffee, toast, waffles, you name it! So happy with CURED’s service and products! I’ve been recommending like crazy! We are obsessed. I don’t even know how to have my morning coffee without the cinnamon and honey. The flavors are all delicious, we have tried them all. I keep the cinnamon & honey and the Blackening seasoning on hand at all times. Cinnamon honey is my favorite! I usually add it to a protein shake before bed and it has helped so much! Absolutely love adding the sweet flavors to my morning coffee! I’m in love — an absolute staple! I have tried the cinnamon honey, roasted garlic & blackening options and really like them all. I can’t wait to try some of the other flavors! These spices are phenomenal! Not only do they taste amazing, but I have noticed a big improvement in my anxiety and microdosing with the spices! Love, love, love these seasonings! They have so much flavor and go perfect on anything! I’ve tried all of these except the blackening. The cinnamon and honey is my absolute favorite. They all have a great taste and if you get creative you can mix and match. There’s never a bad combo! I got in a car accident over a year ago and have been dealing with non stop inflammation in my back. I’ve switched my diet to anti-inflammatory diet and decided to give these a try. I bought two of the roasted garlic and lemon pepper and one of the blackening to use on salmon and they are really good! I will definitely buy again and I am also, excited to try some different flavors as well! I ordered the cinnamon & honey, garlic & lemon pepper, and the bbq. I am in love! I try to incorporate these as much as possibly through my daily routine. A little bit goes a long way, can’t wait to try out the rest of the flavors! I love my cured spices! You can add them to anything! I’m always adding them to my tea before bed, the cbd really relaxes me and helps me sleep. But not in a groggy way. I just get this feeling of calmness from the cbd. It’s pretty amazing stuff! My wife loves these spices. They work as they say they will. Love these! Especially the cinnamon honey! Will be back for more! AMAZING product. Improvements in both my anxiety and inflammation. C&H is my fave flavour. Maybe one day they’ll make a maple syrup flavour for us Canadians haha. Love the brand, message behind the brand! AMAZING! Put a little bit in my coffee in the morning or sprinkle some on a desert 🤤 totally ordering more. Looooove these! I bake sweet potato chips in the oven with coconut oil on top and sprinkle some of the Cinnamon and Honey over the top and they are seriously addicting! First time using these seasonings and I LOVE them!! I ordered the peanut butter chocolate and the cinnamon & honey. So far I have only used them in my morning oatmeal but I will continue to add them on more foods! I will definitely be buying more! This is the best CBD I have ever tried. The chocolate peanutbutter is my favorite flavor and I put it on ice cream, in Greek yogurt, and on toast. You can taste the flavors but curious as to why it’s so salty…is there a reason for all the salt? Not sure if I notice any difference in inflammation from the spices but they do help me to fall asleep easier/ sleep better when I am feeling restless. The best thing about them is you don’t really “notice” that you have taken anything. It’s a very subtle gentle affect on your system, which I was worried about initially. Cinnamon Honey is by far my favorite. Dying to try Pumpkin Spice! I just got my spices about a week ago but they’re so so good! I’ve only used them a couple of times so far (I forget that I have them, whoops) so I haven’t noticed any huge changes yet, but the taste is great! Cinnamon honey is definitely my favorite, it’s so yummy on my proats in the morning. I’ve already recommended that one specifically to a couple of my friends! Pumpkin spice came out literally the day after I made my order, but I’m going to be getting some of that before it’s gone. These spices taste amazing. I put them on everything – my oats, peanut butter, anything. 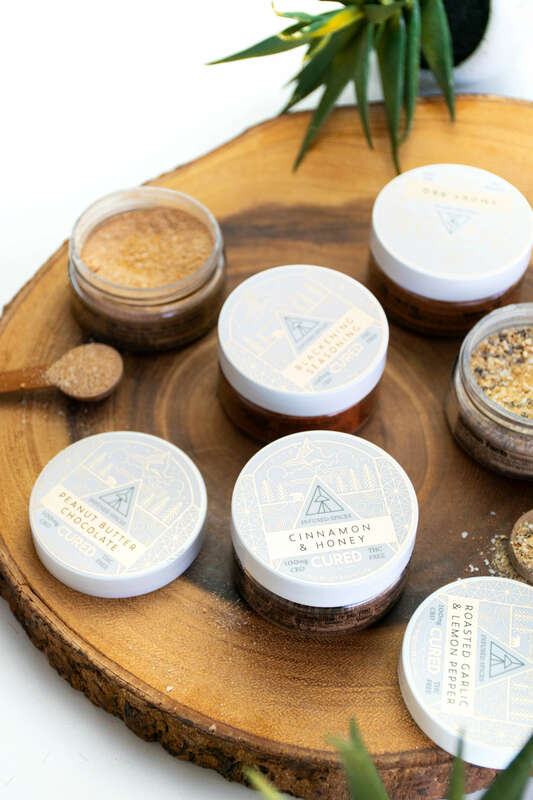 I ordered the pumpkin spice, cinnamon honey and chocolate peanut butter and all of the flavors are spot on and a delicious way to get your CBD fix. These spices are so good. I have tried all of them and not one has disappointed me. The Cinnamon & Honey is my favorite sweet spice and the Blackening is my favorite Savory Spice . Sometimes I can’t tell if they are working, but it might be because I didn’t use enough. For the most part, these spices are the perfect way to bring CBD into my diet and make my food taste even better. I have struggled with anxiety for a long time and this is just the thing I needed to take the edge off. LOVE the seasonings! The peanut butter chocolate is my #1 favorite! It goes on my oats every morning! And my shopping cart always as the Mix & Match 3 pack! I ordered two three packs of spices on Black Friday and absolutely love them! So far I have tried the honey and cinnamon and the peanut butter chocolate. They are perfect for sprinkling onto dessert and have helped me relax and fall asleep much faster! I’m super excited to try out the savory spices as well and will definitely be ordering more in the future. The Cinnamon & Honey spice is my new best friend. There cinnamon & honey combo makes it a perfect addition to almost anything! And the garlic & lemon pepper is a great way to add a little flavor to add to any meal. As someone who cooks a lot and was looking for a way to incorporate CBD into my daily routine, this turned out to be the perfect solution! I absolutely love using the spices on my oatmeal!!! My favorite flavors are the cinnamon & honey and the chocolate peanut butter :)) sprinkling some on my oats makes them even more delicious! The CBD has really helped with my anxiety especially during my crazy shifts at work, I love how I can just add the spices to my every day foods and still get the benefits !!! I was surprised with how much flavor they have. Love them. The chocolate peanut butter is a bit on the salty side, I thought, and wish it was not. They are a great way to micro manage throughout the day! I now have all of the spices that I use regularly, they’ve become a staple in my cooking. Great taste. My favorite is still cinnamon and honey but all are very versatile and if you get creative you can really get some great flavor combinations. So flavorful! 🤤 I love the Bbq seasoning, it’s amazing on chicken and grilled veggies. The honey and cinnamon seasoning is a nice little treat as well and of course you can’t live without the pumpkin spice during the holiday season! Would highly recommend them! These spices are so flavorful!! Personal faves: The honey & cinnamon, lemon pepper & garlic—SO GOOD!!! I’ve tried all of the seasonings, they are all so good but cinnamon honey is my favorite! It’s so good on my morning pancakes and in my coffee. I also like the blacking seasoning, it’s great on salmon. This three pack of seasonings is game-changing! 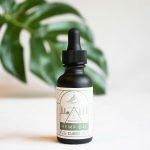 Perfect way to infuse CBD into your lifestyle! I bought the Cinnamon & Honey, Smoky BBQ and the Roasted Garlic & Lemon Pepper. Haven’t tried the BBQ yet but the Roasted Garlic & Lemon Pepper is great on chicken and the Cinnamon & Honey is PURE HEAVEN. It’s delicious sprinkled over apple slices or on a rice cake with PB. So, so yummy. Love these spices! I love the trio spices! I got the cinnamon & honey, pb choco, and bbq. Now the bbq spice on tri-tip…OMG heaven and pb chocolate in my oatmeal and some blueberries that’s a good way to start your morning! I just got the lemon garlic in the mail the other day…can’t wait to try that! CBD infused spices, I would highly recommend these! 1st I’d like to say the product is absolutely awesome. I had a sample pack years ago and absolutely loved it. Then I bought the 3 pack I got the chocolate peanut butter and the cinnamon honey. They are very tasty.the only thing is I wish that the Chocolate peanut butter had more of a chocolate flavor. In the cinnamon honey had more of a honey flavor. But The cinnamon honey was so good I actually gave some to my grandmother to try and she loved it. I really enjoy the cinnamon and honey in my coffee. I wish it wasn’t quite so salty though. Maybe add less salt? Overall I am pleased and do feel that it’s calming.